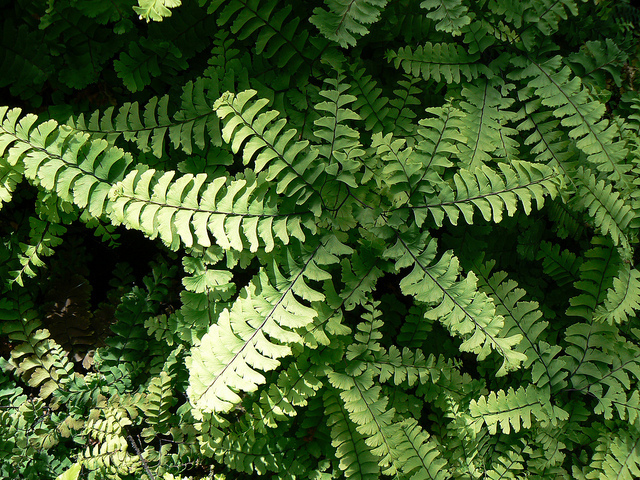 Northern maidenhair fern's curved fronds have wiry black stems that wave in the wind. This plant spreads slowly (by branching rhizomes) and eventually forms large colonies. Its delicate texture looks most beautiful when paired with broad-leaved plants. It grows to 50 x 50cm at a slow rate and is hardy to zone 3. The seeds ripen from August to October. Care: Suitable for light (sandy), medium (loamy) and heavy (clay) soils and prefers well-drained soil. Suitable pH: acid, neutral and basic (alkaline) soils. It can grow in semi-shade (light woodland). It prefers moist soil. Click the button below to add the Adiantum pedatum to your wish list.